After we were done with all our partying last Saturday we had some shopping errands to take care of. I needed some new jeans to replace some that had been ruined so Brent entertained Lilli while I shopped and tried on some clothes. When I first saw this picture I thought she was picking someone’s pocket! 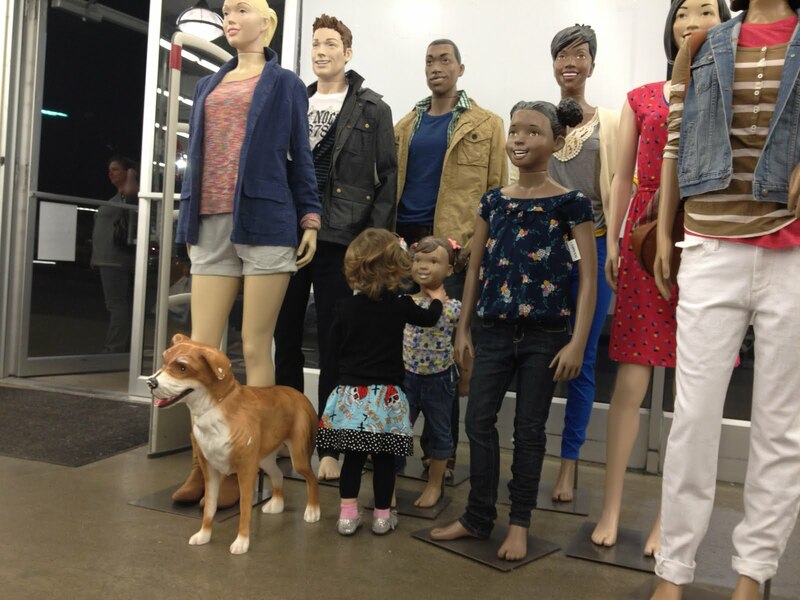 Those creepy mannequins at Old Navy are a favorite of all children. 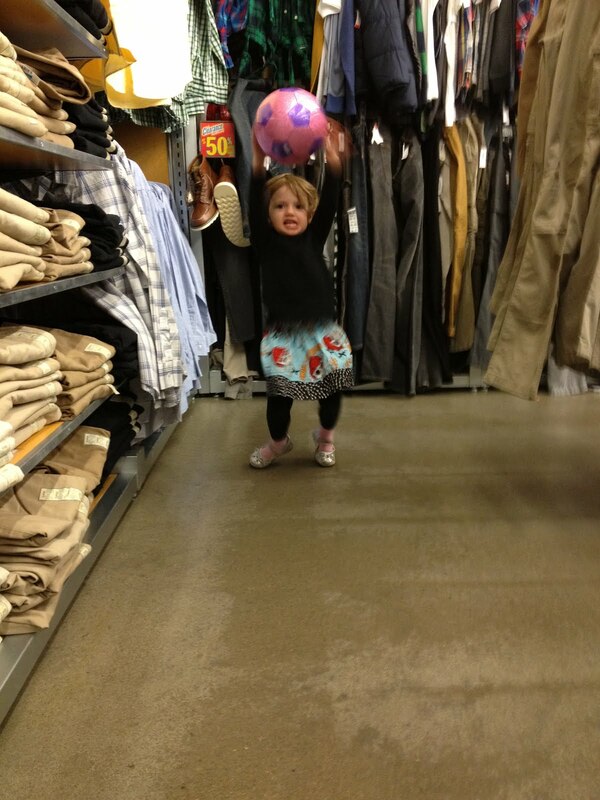 They always find a quiet corner and play some ball while I shop. Afterward we went to the mall to walk around. I don’t even remember the last time we’ve been to the mall, probably right around Christmas. We’re just not big mall people and the only thing we ended up buying was a Build-A-Bear for Lilli. This is her first one and they really aren’t terribly expensive. We got her the cheap $10 bear, no add ons, and then at the end I decided to let her choose between two $8 outfits. So with tax we got out of there for $20, which really isn’t bad for something like that. 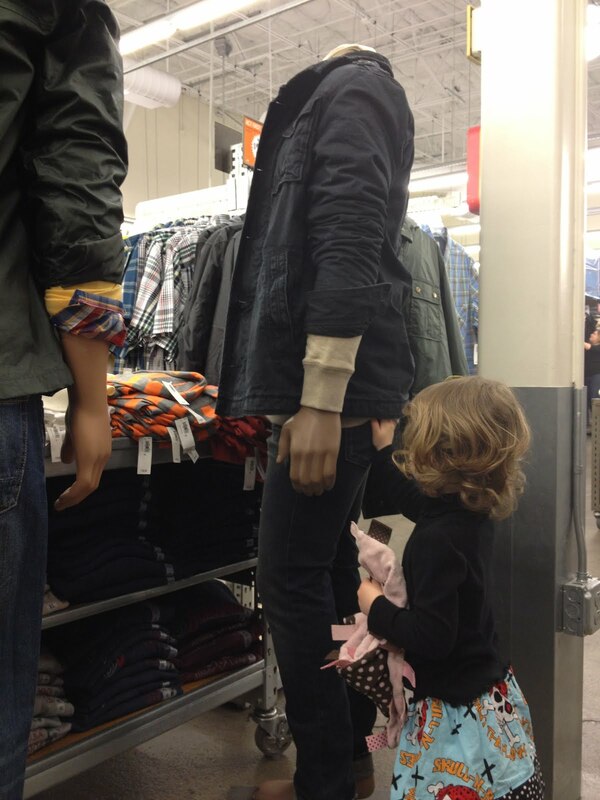 She still got to make lots of choices along the way, so she never felt left out from all the other junk in the store. She named it “Teddy”. I know that’s pretty unoriginal, but considering we have 4 fish named after princesses and one cat named after a Disney character I was pretty surprised by plain old “Teddy”. 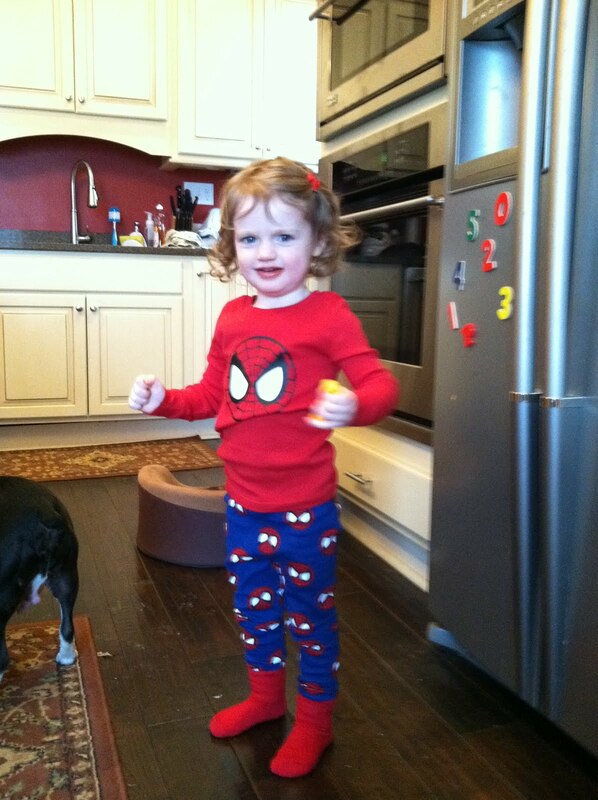 And here she is Sunday morning in the new Spiderman PJs I got her on clearance for $5 at Old Navy. Super cute!!! Princesses and Super Heroes, kind of sums her up!